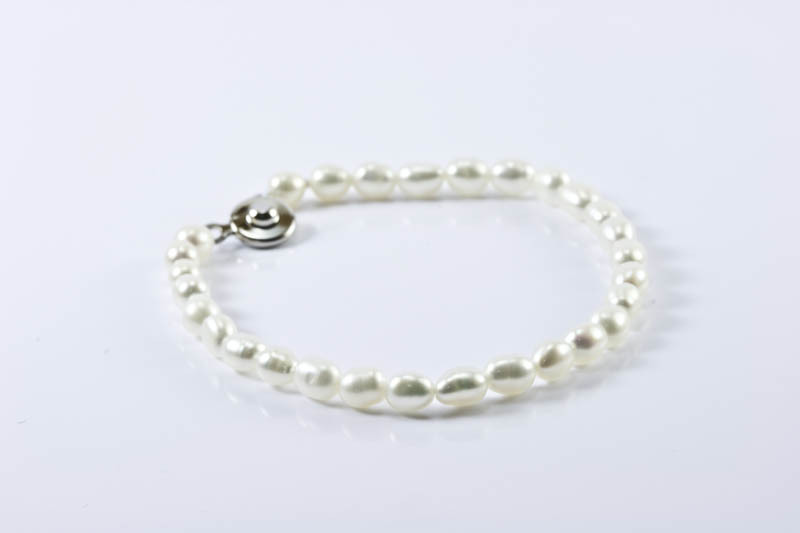 11mm , Coin Shaped, with 14k white gold tubes and 14k white gold clasp. 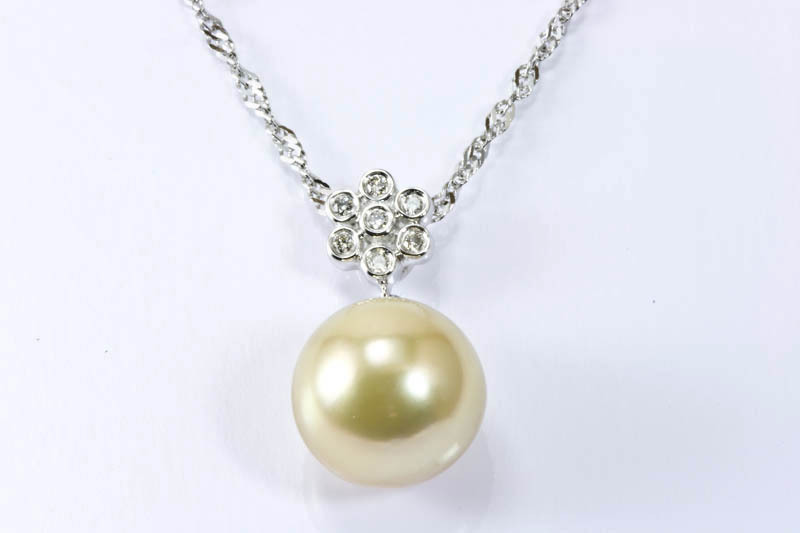 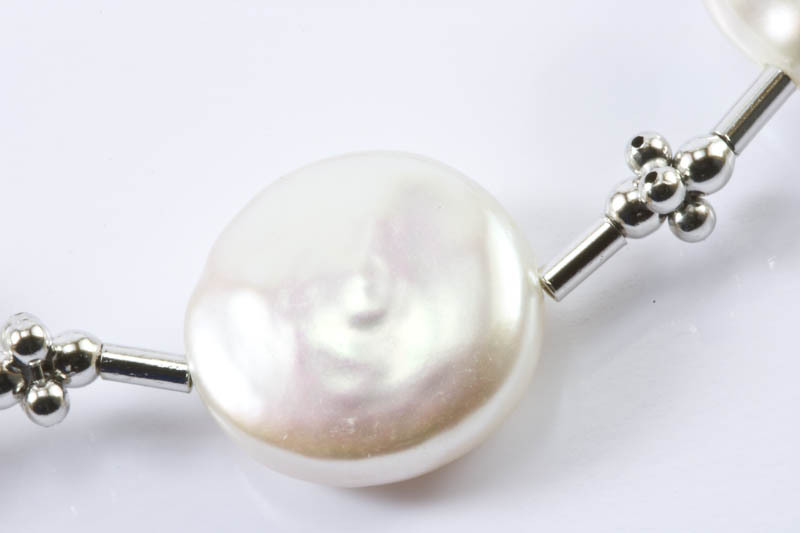 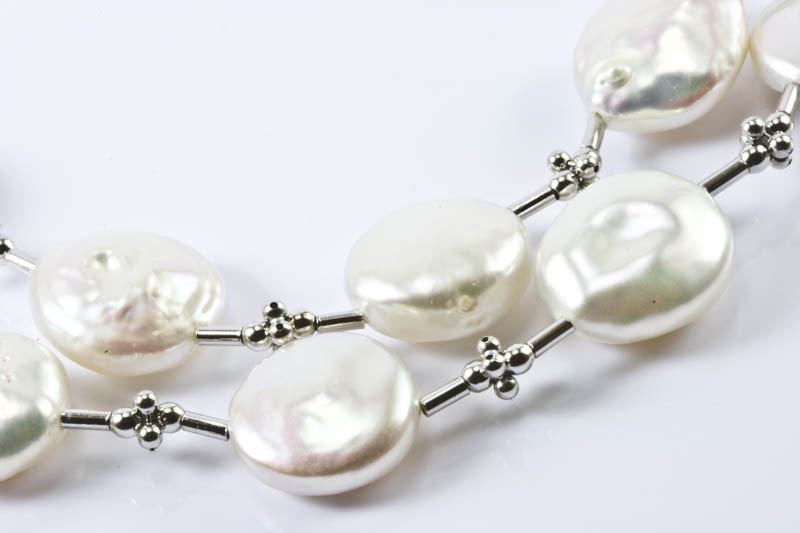 This is a striking 16inch, 18" or 20" silver white Biwa pearl necklace. 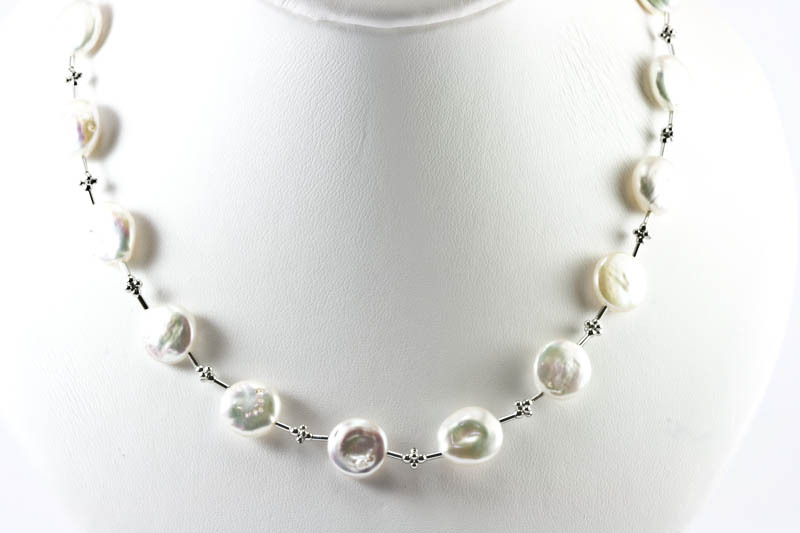 The pearls are very lustrous with beautiful rainbow overtones and thick nacre. 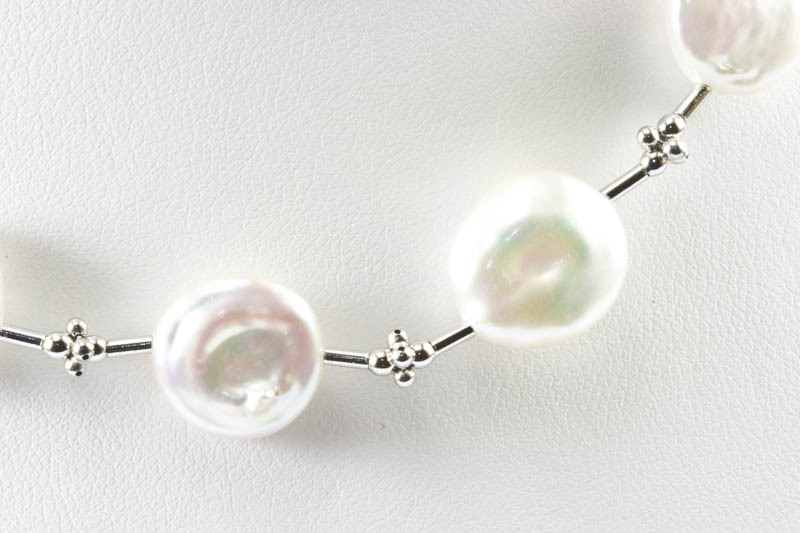 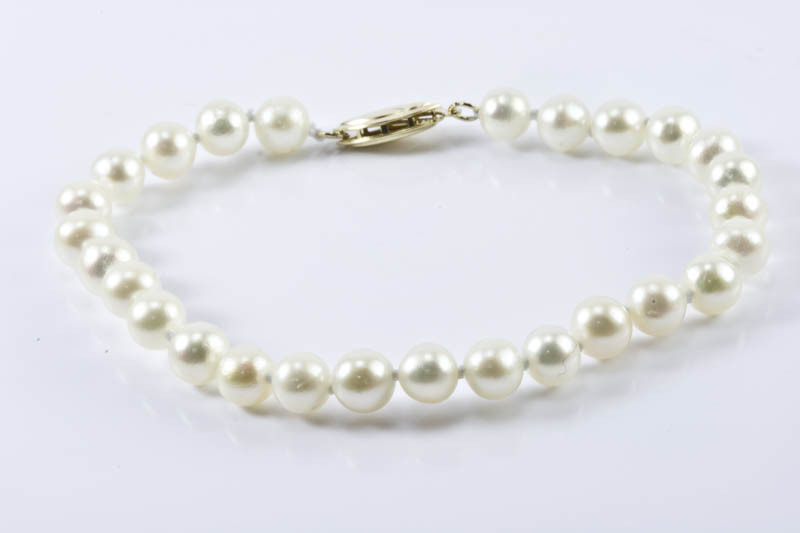 These pearls are approximately 11mm,5.5mm thick. 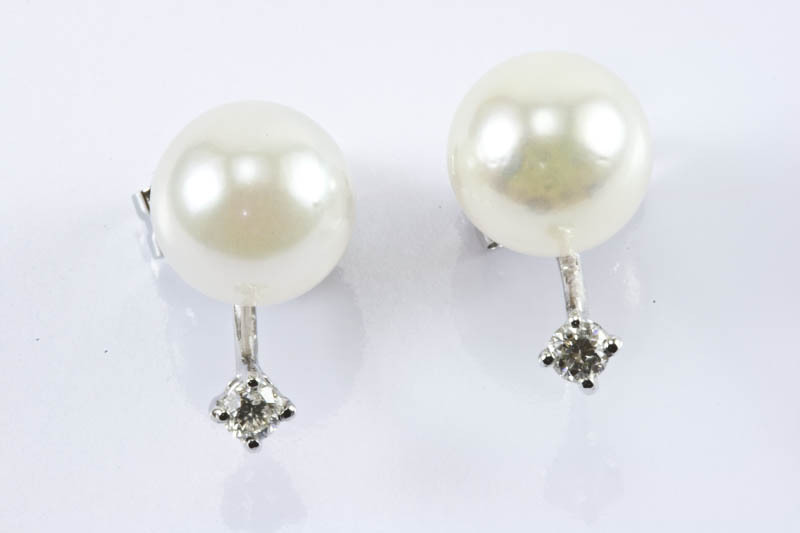 They really reflect the light beautifully. 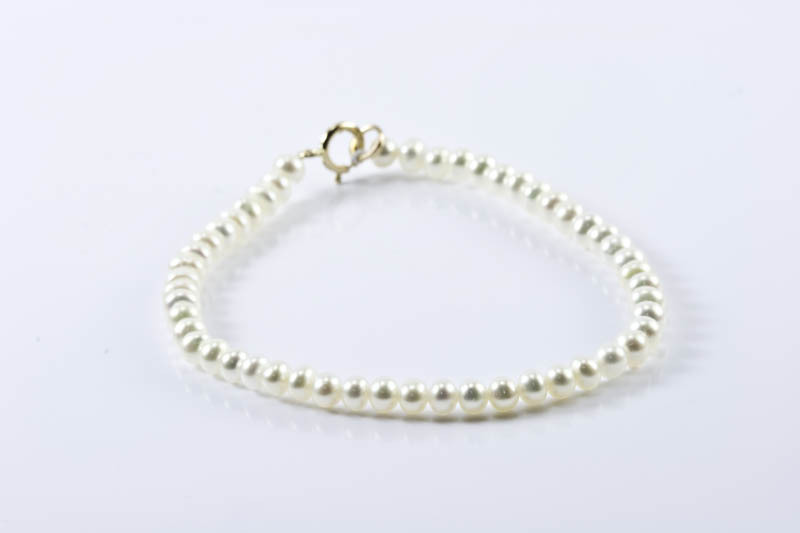 Finished with 14k white gold clasp and tubes .